OZ Excavator Buckets is a Brisbane-based manufacturer of excavator and backhoe buckets and other attachments. Established in 1998, OZ Excavator Buckets was acquired by our current owners in 2006. Over the past 17 years we have grown from being a small Brisbane-based excavator bucket repairer to a national supplier of excavator and backhoe attachments. 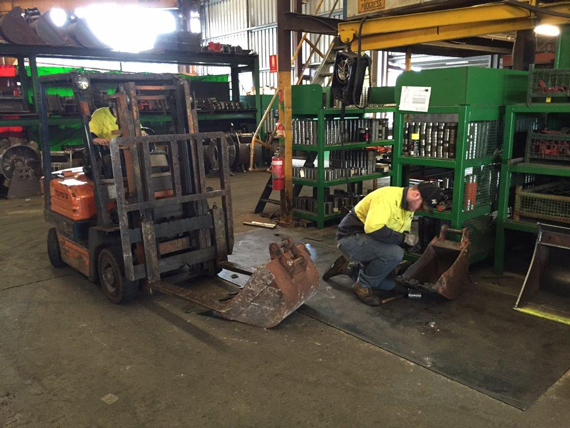 Today, we operate from our attachment manufacturing facility in Sumner Park, an industrial suburb of Brisbane. All OZ Excavator Buckets’ products are designed in accordance with Australian standards, by Australian trained engineers and technicians. Our 12 month warranty period covers any manufacturing defects. For the past 12 years we have been in business with an excavator attachment manufacturer in Taiwan who builds and supplies buckets in accordance with our design specifications and quality requirements. Apart from their manufacturing facility in Taiwan, they also have an office and warehouse in Brisbane. Their ability to manufacture high volumes of quality attachments at a very reasonable price far exceeds what Australian manufacturers can do. This is of great benefit to our customers. The attachments we import are limited to a percentage of all standard size attachments as required by our customers. 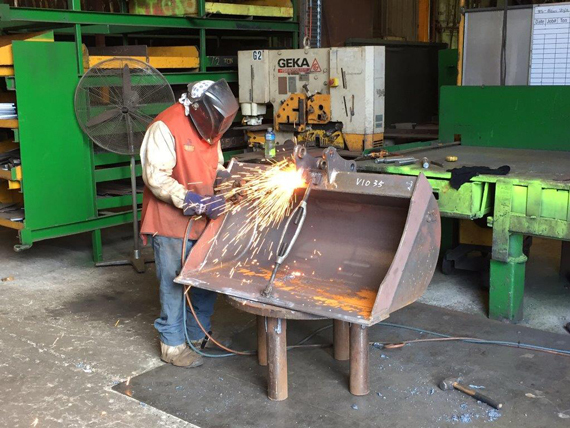 The balance of required standard size buckets, as well as all non-standard size items, are built in our Brisbane manufacturing facility. There are many attachment importers in Australia who do not have a manufacturing division. That means they can only supply standard size attachments, which they import in large quantities. They simply cannot manufacture non-standard size buckets and have to rely on Australian manufacturers like OZ Excavator Buckets to complete their customers’ orders. This extra step obviously comes at an added cost to you, the end user. That’s why ordering your attachment sets from a “one stop shop” like OZ Excavator Buckets will result in more affordable excavator attachments. 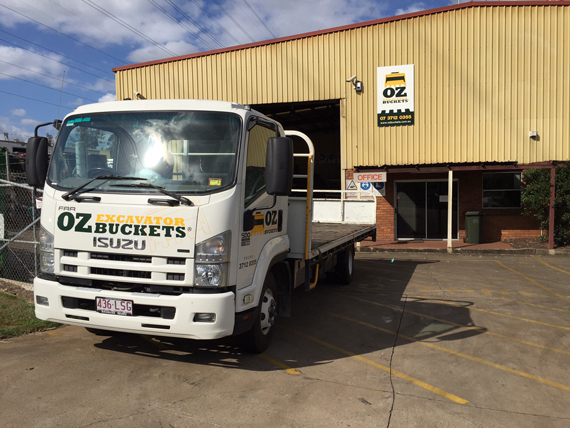 OZ Excavator Buckets are well known for our ability to complete orders within a very short turnaround time. This applies to both standard and non-standard size excavator attachments which we do not stock and have to manufacture from scratch. 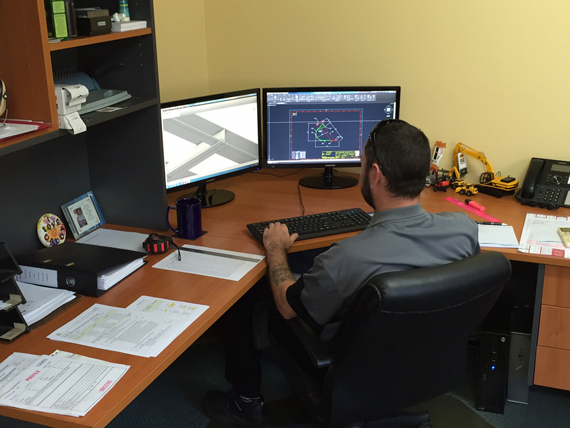 Without our Brisbane attachment manufacturing facility, this wouldn’t be possible. OZ Excavator Buckets is your Australian excavator and backhoe attachment supplier. Call us on 1300 246 009 or get in touch online if you require any further information on our Brisbane excavator attachment manufacturing facility. You are also welcome to visit us whenever you are in the area. Subscribe to our regular newsletter The Scoop here.